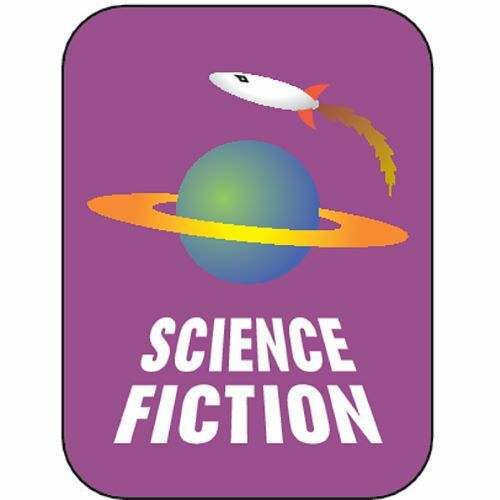 Science Fiction is a genre of speculative fiction, typically dealing with imaginative concepts such as advanced science and technology, spaceflight, time travel, and extraterrestrial life. Fantasy is a genre that usually involves a mystical base, i.e. magical, mythical or supernatural, imagined worlds. Percy, expelled from six schools for being unable to control his temper, learns the truth from his mother that his father is the Greek god Poseidon, and is sent to Camp Half Blood where he is befriended by a satyr and the demigod daughter of Athena who join him in a journey to the Underworld to retrieve Zeus's lightning bolt and prevent a catastrophic war. Scarred and cast out after surviving the blood plague, Adelina finds a place for herself among the Young Elites who use their magic to advocate on behalf of young innocents and who are targeted by the soldiers of the Inquisition Axis. The Renegades are human, but with extraordinary abilities. They emerged from the ruins of a crumbled society and established peace and order where chaos reigned. As champions of justice, they remain a symbol of hope and courage to everyone... except the villains they once overthrew. Nova has a reason to hate the Renegades, and is on a mission for vengeance. Adrian is a Renegade boy who believes in justice-- and in Nova. But Nova's allegiance is to a villain who has the power to end them both. Readers longing for a return to Camp Half-Blood will get their wish in the first novel of the Heroes of Olympus series, which follows Riordan’s popular Percy Jackson and the Olympians series and includes some of the same characters in minor roles. The new cast features Jason, Piper, and Leo, teen demigods who are just coming to understand and use their unique abilities as they learn how much depends upon their wits, courage, and fast-developing friendship. When blacksmith apprentice Fletcher discovers that he has the ability to summon demons from another world, he travels to Adept Military Academy where must decide where his loyalties lie. The fate of an empire is in his hands. Orphaned by the Border Wars, Alina Starkov is taken from obscurity and her only friend, Mal, to become the proteg©♭ of the mysterious Darkling, who trains her to join the magical elite in the belief that she is the Sun Summoner, who can destroy the monsters of the Fold. Told from separate viewpoints, teens Scam, Crash, Flicker, Anonymous, Bellwether, and Kelsie, all born in the year 2000 and living in Cambria, California, have superhuman abilities that give them interesting but not heroic lives until they must work as acommunity to respond to a high stakes crisis. Avoiding an arranged marriage, an Osfridian countess takes her servant's name and place in the Glittering Court--a school that trains wives for the new nobility in the new land of Adoria--and as Adelaide, she must figure out how to take control of her future without sacrificing the friendships or promises she has made. All her life, Cassia has never had a choice. The Society dictates everything: when and how to play, where to work, where to live, what to eat and wear, when to die, and most importantly to Cassia as she turns 17, whom to marry. When she is Matched with her best friend Xander, things couldn't be more perfect. But why did her neighbor Ky's face show up on her match disk as well?. As the struggle between the growing rebel army and the blood-segregated world escalates, Mare, who has the red blood of the common folk but also the silver ability to control lightning, must fight against the darkness that has grown in her soul. But once Camellia and her Belle sisters arrive at court, it becomes clear that being the favorite is not everything she always dreamed it would be. Behind the gilded palace walls live dark secrets, and Camellia soon learns that the very essence of her existence is a lie, that her powers are far greater, and could be more dangerous, than she ever imagined. With the future of Orleans and its people at stake, Camellia must decide: save herself and her sisters and the way of the Belles, or resuscitate the princess, risk her own life, and change the ways of her world forever. In Equal Rites, New York Times bestselling author Terry Pratchett brings readers back to Discworld, a fantasy universe where anything can happen—and usually does. A dying wizard tries to pass his staff on to the eighth son of an eighth son. When it is revealed that the he is a girl named Esk, the news of the female wizard sends the citizens of Discworld into a tail-spin. With their biting satire and limitless imagination, it is easy to understand why 80 million Discworld books have been sold worldwide. Equal Rites possesses rich characterizations, a journey of awareness, and even a hint of romance from master storyteller Terry Pratchett.